The BetaGauge PI PRO pressure calibration gauge takes the concept of an analog Test Gauge, and brings it to a new level, as only MARTEL can do. 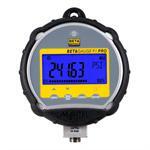 The calibration gauge combines the accuracy of digital technology with the simplicity of an analog gauge. 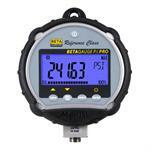 The BetaGauge PIR PRO takes the concept of a simple analog Test Gauge and combines it with the accuracy of digital technology. 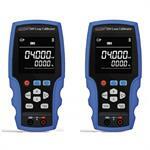 The new Reference Class gauges provide exceptional performance with 0.04% of reading accuracy. 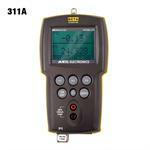 The ADT209 and ADT210 allow for measurement of current, voltage and a switch. You can also simulate or source mA or a process transmitter. With a push of a button, you can switch to zero and span values, auto ramp, and auto step throughout the range. The Martel MC-1010 is a multi-function process calibrator that combines a high accuracy process calibrator with common DMM functions. 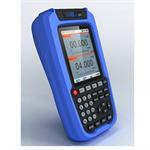 With the ability to accurately calibrate virtually any process, it is an indispensible tool. Gauge, absolute, and differential pressure to 15,000 psi / 1000 bar / 100 MPa, dual sensor models, 0.035% of reading accuracy, Advanced simplicity "non-menu" interface, High accuracy thermometer with "true ohm" technology, and BARO option. PTC-8001 is a High accuracy (+-0.4C J thermocouple and +-0.3C PT 100-385 RTDs) Ten thermocouple types and eight RTD types incl 10 ohm copper. Works with Rosemount 3144 and all other smart transmitters. The best value in it's class! 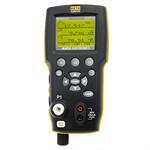 The ASC-400 is more than just a signal calibrator. Combined with our APM external pressure modules or our dry-block calibrator, it will calibrate pressure and temperature, and used together with JOFRACAL even document it as well. Do More with the PIECAL 820 Process Calibrator - mA • V • TC • Ohms • RTD • Hz Dual T/C & RTD Calibrator! Accurate, reliable and easy to use with a evolutionary new design! Buy your PIECAL 820 from Instrumentation.com today! 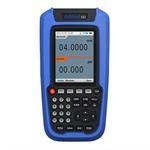 High Accuracy Multifunction Diagnostic Calibrator. Sources & reads mA, T/C, RTD, V, mV, and Frequency. 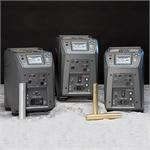 Also sources pH, accepts wide range of PIE digital pressure modules and has Patented Current Leakage test. 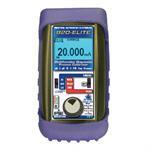 Buy your 820 Elite from instrumentation.com! 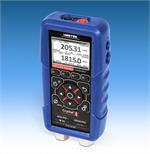 The PIE Model 830 is more than a multifunction calibrator. 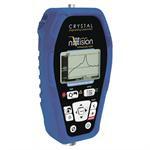 It is also a loop detective that is able to diagnose common problems that other test equipment just can not find. Buy your PIECAL 830 from Instrumentation.com today!